Text Cannot be targeted by an opponent's card effects. 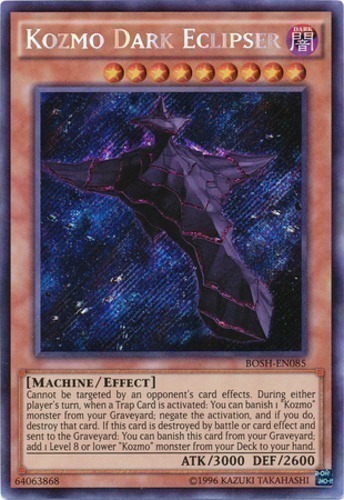 During either player's turn, when a Trap Card is activated: You can banish 1 "Kozmo" monster from your Graveyard; negate the activation, and if you do, destroy that card. If this card is destroyed by battle or card effect and sent to the Graveyard: You can banish this card from your Graveyard; add 1 Level 8 or lower "Kozmo" monster from your Deck to your hand.